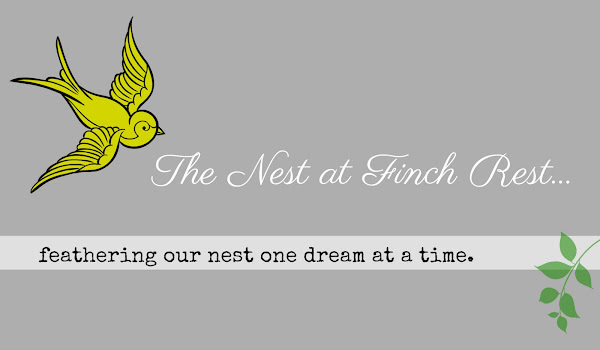 The Nest at Finch Rest: Winner! I am so excited to announce that I was the very lucky winner of a really awesome tea-related gift that I just LOVE from Angela McCrae from the wonderful blog Tea with Friends. Her blog is filled with amazing facts of history and books and has such lovely photos, I know if you don't know her already you will fast become her newest follower! This awesome tea journal I won was really needed! I love it! I like the lined interior too! This journal was so fun and colorful I decided to pic it along with a whimsical spring silk teacup floral and one of my fav daily use tea mugs. It makes me happy and isn't valuable should it get chipped or broken from everyday use. Having tea completely worry free is always a good thing. 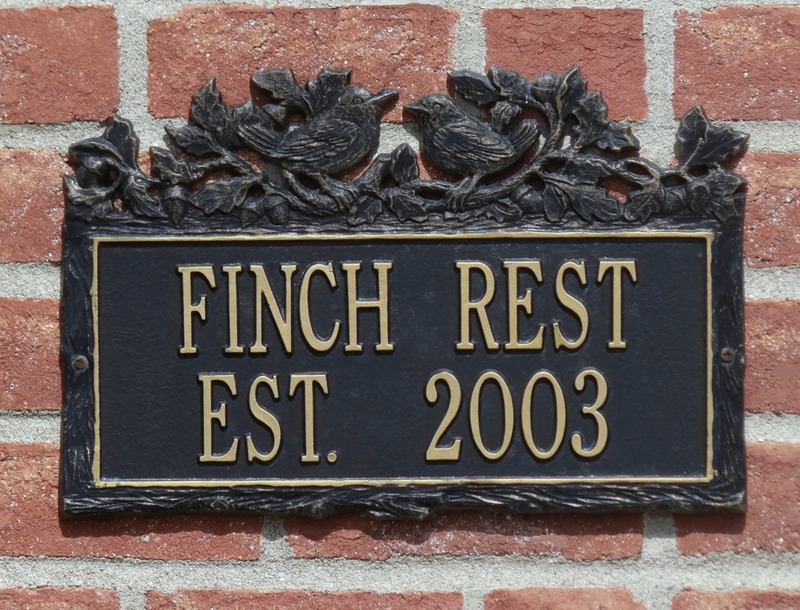 Linking up to Tea Time Tuesday! Congratulations on your wonderful win! You've created a very cozy tea with your new book and tea mug! 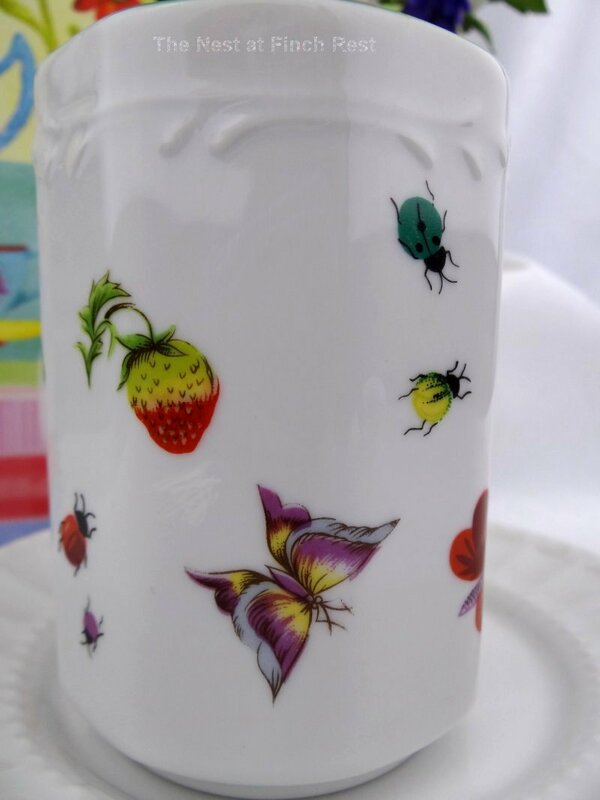 Thank you for joining me for tea today and I hope you're having a delightful day. 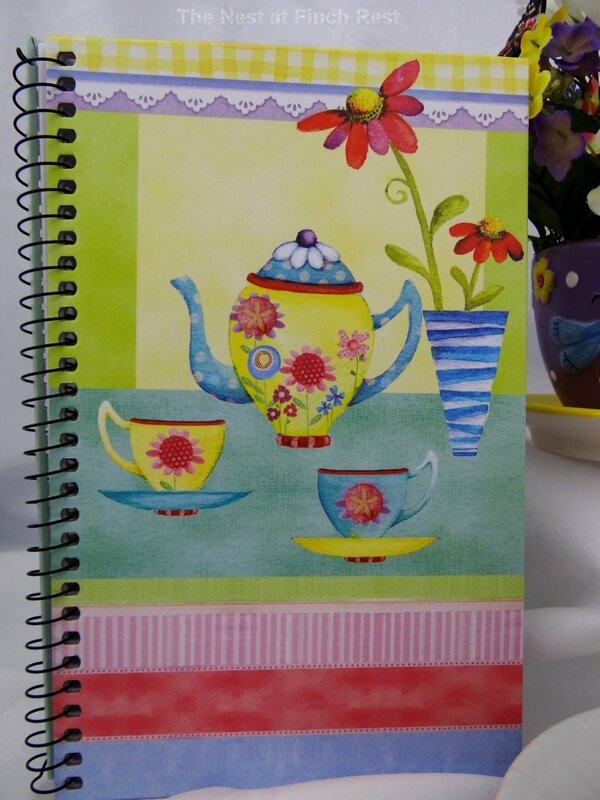 Congrats on winning your pretty tea journal! Both the journal and mug are gorgeous. Happy tea day! Congratulations to your pretty win. What will you do with it. 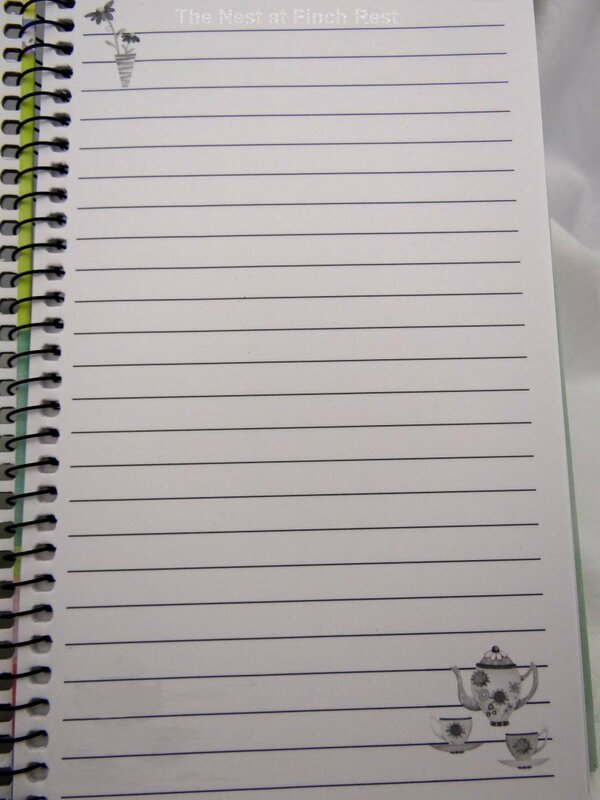 Maybe you write in nice recipes for tea cakes or memories on tea parties. Lots of possibilities. Your flower bouquet looks so real, I have not thought it is from silk flowers. 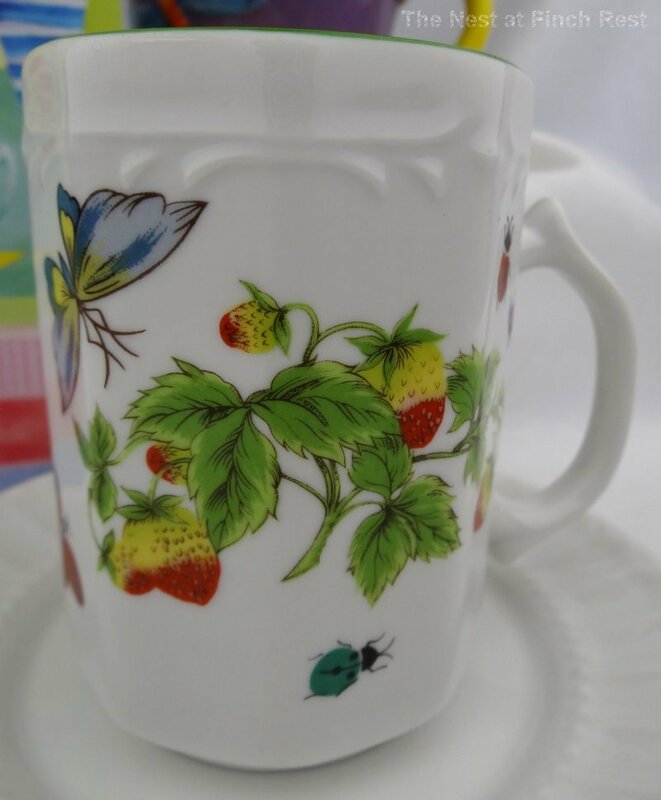 And the tea mug is a cutie, too. Thank you for this delightful teatime. Congratulations on your lovely win. The journal is just precious. 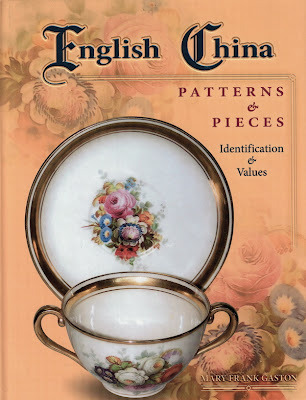 I like your tea mug and the book ...what fun to learn more about English china patterns and pieces! Happy Tea Day! I won some tea from Angela earlier this month that should be waiting for me when we return home, she's a wealth of information. The tea journal you won is sweet and your mug looks like it might be Lennox. Congratulations, Michele! 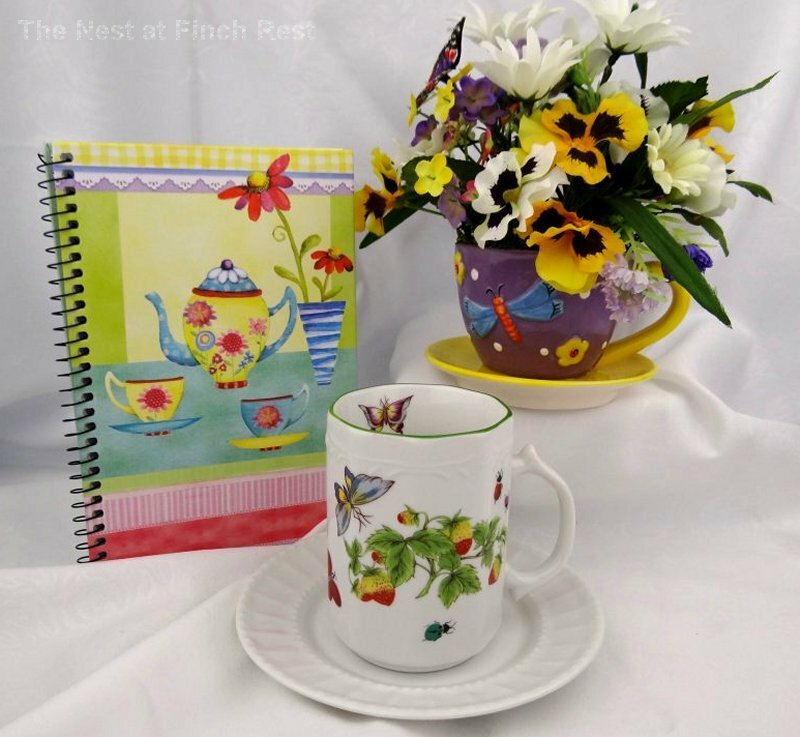 I like your tea journal and I also like your mug and your bouquet. Have a happy week!